HIGH VALLEY RANCH, a premier lifestyle property in the Midwest. 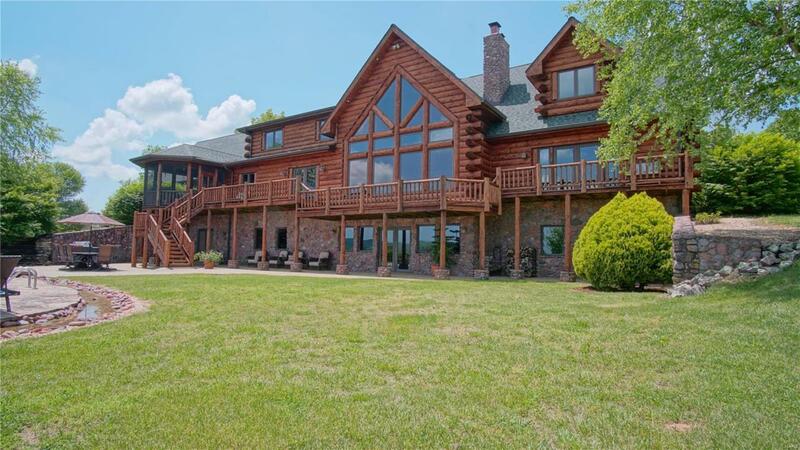 627 unique acres boasting beautiful views of one of Missouri's highest valleys from the vantage of a custom, log hybrid home. Featuring 9000+/- sq. ft. of living space, 5 bedrooms, 4.5 baths, custom kitchen, master suite, library, art gallery, game room, and custom bar with all the character and unique finishes you might expect from a home of this caliber. The log guest cabin lies adjacent to the main home and provides the amenities for short or extended visits. This active cattle ranch hosts a highly productive rotational grazing system, 3 barns, 3 cattle working facilities and abundant water sources with 4 wells, 6 ponds and a year round spring. Lying in the heart of the Mark Twain National Forest, this amazing ranch offers many recreational opportunities. Located in the St Francois Mountains, near multiple state parks and 100 miles south of St. Louis, this offering is truly a once in a lifetime opportunity.